Competitive salaries are key to ensuring that interior design remains a viable profession for innovative, driven, and creative individuals. 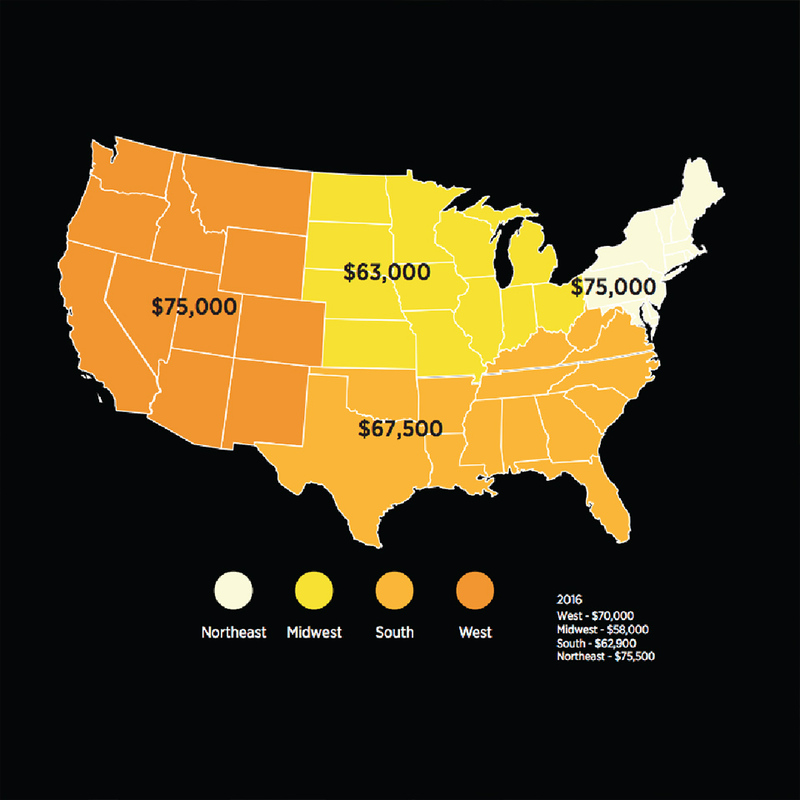 The 2019 IIDA Interior Design Compensation Report provides a full salary spread and analysis of salary and benefit information, allowing leaders in design to monitor the health of the industry based on education, tenure, location, professional credentials, and job function, among other variables. It also stands as a vital resource for design professionals across the career spectrum to better value their skills and experience and make smart choices about their careers. Read The Big Picture for a snapshot of industry salaries and a quick look at what's included in the 2019 report.